A young sergeant, recovered from battle against Rommel's Afrika Korps, is appointed leader of a dozen know-it-all draftees being poured into the Army's replacement pool. He toughens them into an effective team. As they land at Utah Beach, the Wehrmacht hands out its own bloody lessons. In minutes, one is dead and a second wounded, the onset of a pitiless 10-month ordeal. In horrific combat from Normandy through the Bulge to the Elbe River, they learn to defeat a skilled and hardened enemy. All pay a steep price. The 164th Army Division has come to reinforce the beleaguered First Marine Division, which has been fighting the Japanese for months. It will be the Division's first combat test as well as it's bloodiest. The fighting has come to a standstill with neither side giving ground. The 164th is desperate to break the stalemate and the mounting casualties. Their possible solution comes in the form of a British Coast Watcher. Thomas Welch offers to take a small unit into the jungle to meet up with a force of natives to instigate a guerrilla war against the Japanese rear. 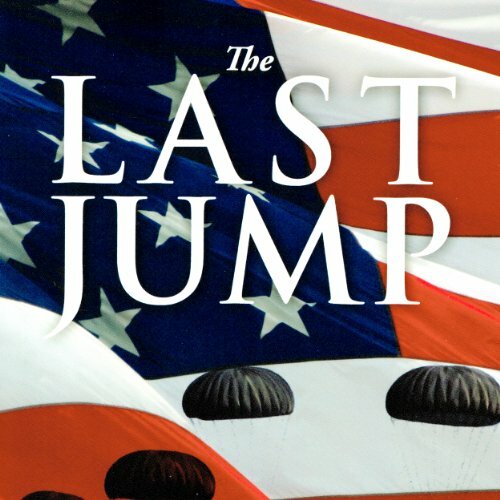 The Last Jump is a war story, a mystery, a love tale, and a tribute to the people who won World War II. Fact and fiction intermix seamlessly to unravel a secret passionately guarded by four aging soldiers. The reader is transported back in time to an imperfect America, with all is incredible virtues and vexing shortcomings struggling with racial and gender issues while fighting for its very survival. It was time when Americans stood shoulder to shoulder to free the world from tyranny. It celebrates the spirit and courage of ordinary citizens pitted against the militaristic regimes of Nazi Germany and Imperial Japan. It was a time when the sons of presidents and senators served, fought, suffered and died alongside average Americans and famous celebrities. J.P. Kilroy, a middle-aged divorced journalist, regrets ignoring his mother's deathbed request. Even her last letter, which told of the existence of a mysterious family secret, did not motivate him to reconcile with the father who left them 30 years ago. When he receives an invitation from the White House to attend a Medal of Honor awards ceremony for African-Americans, he also discovers his estranged father recently passed away. Was the secret now lost forever? The story is well written and interesting, even if a bit far-fetched. As with many good works of historical fiction, the book puts the reader into the middle of historical events and helps to make that time period come alive. My primary complaint with the book is the several instances in which one character or another gives a long-winded lecture in defense of right-wing ideology. Ken Follett tends to do the same thing in his novels set in the 20th century, though Follett's harangues are from a decidedly left-leaning perspective. Regardless of the political point of view, I find such rants to be tedious and misplaced in historical fiction. Best story I have read in such a very long time. By far one of the best to convey the feelings and emotions of a soldier. Such vivid words of the actual events from WW II even if these characters were fictional. Every person who now enjoys the benefits of the freedom that these men and women fought for must read this book. You will be changed forever and your head will raise a little higher to know they did it for each and every one of us that came after them!!! My uncle was in the all Americans in the European campaign and I felt a little bit closer to him reading this novel. They were some brave people. It makes me wonder what we would do now days if forced into the same situation. 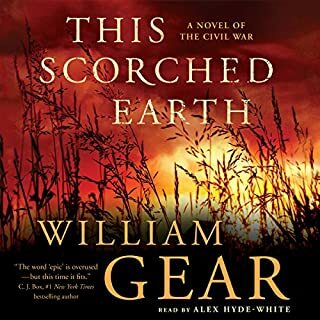 Great book and highly recommended from a long time audible listener that HATES to waste a credit. A Classic!!! I cried through the last chapters!!! I’m a tough guy and a veteran. 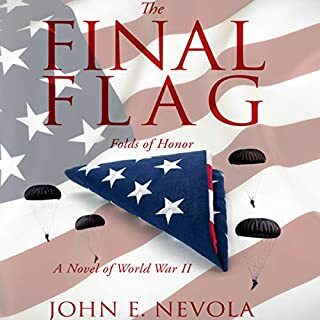 This book takes the reader through important battles of WWII in a very personal way giving the unpatriotic a reason for patriotism, and the patriotic a reason pride and tears. That so many gave so much for our freedom is deftly brought to light here. I wept with pride for the book’s characters and situations!! I’m so glad to have read this wonderful book!! After this book I finally realize what my father experienced and why he said the things he did . What other book might you compare The Last Jump to and why? My Dad was one of 5 brothers from Canada that lived in Maine who served . All but one returned . So wish I had this book as a young snot not understanding what they share as a brotherhood on the farm after the war in the early 50's . What about Mike Ortego’s performance did you like? What's not to like !!!!! All 83 chapters >> its that simple . Only regrets >> not talking to my Dad more . He passed at 94 yrs young in 2002 and served in the Army Air Corp in the Philippines as a cargo mover ! . He said " there were just too > too > too many body bags " ! Love you Dad >> just didn't know what you experienced !!! 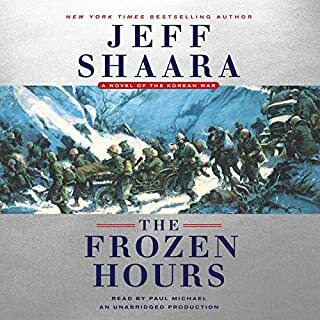 A diverse and detailed account of the heroism, honor and dedication of the American fighting man. What made the experience of listening to The Last Jump the most enjoyable? The narrator had a pleasing voice and I was able to listen without getting bored or without wanting to turn it off. The book was very long; however, it held my interest from beginning to end. What was one of the most memorable moments of The Last Jump? The end of the story; after the secret was revealed. I enjoy reading about the Greatest Generation. They are the true heroes of all time. What does Mike Ortego bring to the story that you wouldn’t experience if you just read the book? I felt like I was there being told the story by the characters. His use of different voices had a great impact on how the story was told. A novel of WW II about two men with the same last name, who become fast friends, as their story of being paratroopers unfolds. Historical fiction at its best, with a mystery that keeps you spell-bound until the end. I highly recommend. Great book! 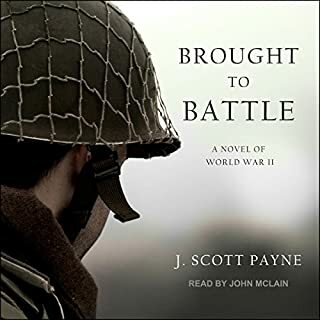 Takes you through parts if WWII as if you were there. If you are at all interested in the history of this war, this is the book to read. Yes I would recommend this book to anyone. The book has everything an amazing plot, accurate history, social changes and full of emotion. The today versus yesterday dialogue. I was never lost in the actual plot enough to be annoyed at coming back to the later story line they linked so perfectly. What does Mike Ortego bring to the story that you wouldn’t experience if you had only read the book? The emphasis on the meanings of the quoted lines. 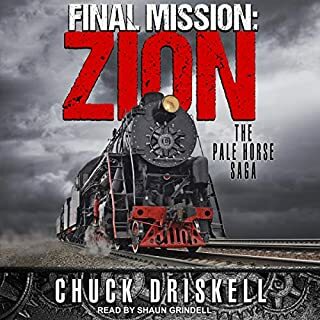 I am sure I would not have been as immersed in some of these characters if Mike had not given me the steer with hi marvelous intonation. The end......cried like a school girl couldn't help it! 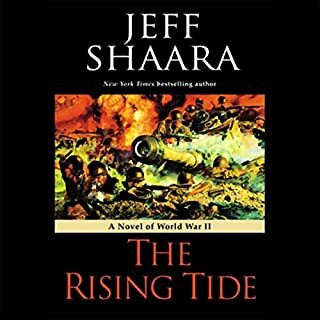 The American social and Second World War history is really special it makes you think that a properly researched novel might be the way to get all school kids interested in history.